King Oliver was born in South Louisiana sometime near 1885. Some sources say he was born in the Ascension Parish town of Abend and others say he was born in New Orleans. As a youngster he played trombone but he switched to cornet around 1905. Buddy Bolden was at the peak of his popularity on cornet in New Orleans and this may have influenced young Oliver who idolized Bolden. He was a fairly popular player in New Orleans with a lot of gigs and a reputation as a good but not great trumpet player. In 1914 King Oliver got more serious about practicing his horn and his playing and tone improved greatly. He developed skill in using a variety of mutes to color the sound of his cornet. Oliver's groups played in what is now considered the classic New Orleans style. He played a melody on the cornet and the clarinet improvised counter-melodies while the trombone improvised riffs, slides and harmonies below and the drums and bass laid down a rhythmic foundation. A banjo and or piano were sometimes added when not marching. Within this framework all of the musicians improvised at the same time - improvised polyphony - and solos were played with little or no accompaniment while others rested. His groups became more popular and in 1917 Kid Ory pronounced him "King" of the trumpeters. The nickname stuck to him for the rest of his career. The closing of Storyville, New Orleans' red light district, and the northern migration of many blacks from the south to Chicago made Chicago an attractive destination. He moved there in 1919 joining bass player Bill Johnson and clarinetist Laurence Duhe for a job playing at the Dreamland Ballroom in Chicago. He took over this band, changed some of the personnel and went to California. The California trip was not very successful and in 1922 they returned to Chicago and opened up at the Lincoln Gardens. The lineup now consisted of Johnny Dodds-clarinet, Baby Dodds-drums, Honoré Dutrey-trombone, Lil Hardin-piano, Johnny St.Cyr-banjo and Came Oliver-cornet. A week into the job Oliver invited his New Orleans protégé, Louis Armstrong, to come up to Chicago and join the band playing second cornet. This band was called the Creole Jazz Band and it became the hottest band in Chicago as Chicago became the new center of jazz. The Lincoln Gardens was jammed every night with dancers and musicians coming to hear this revolutionary band. King Oliver's Creole Jazz Band recorded and ruled the roost in Chicago until 1924 when this great band broke up. The Dodds brothers quit the band after they learned that Joe Oliver was skimming money from their checks and Louis Armstrong and Lil Harden who was now Armstrong's wife left shortly thereafter ending Oliver's greatest band. In 1925 he took over another band and named it the Dixie Syncopaters. This included Barney Bigard and Albert Nicholas on saxophone. The saxophone tandem was another innovation in jazz band lineups and this group also recorded. Louis Armstrong and others had already migrated from Chicago to New York which was becoming the new center of the leading jazz. In 1927 King Oliver took his group to New York but other groups were already established there. Oliver still demanded premium rates for his band although he was not the top band in New York as he had been in Chicago. He priced himself out of a gig at the Cotton Club which was then taken by Duke Ellington. Ellington established his great band by broadcasting from the Cotton Club. Then began a downward slide in Oliver's health, musical and business lives. Oliver became very overweight and he also suffered from progressive gum disease which impaired his ability to play trumpet. He continued to seek top wages when his competitive position would not bring this kind of pay. He became a shadow of what he was and began to tour the South ending up broke and broken - without a band in Savannah, Georgia. He got a job in a pool hall in Savannah where his health continued to deteriorate and he died in Savannah on April 8, 1935. King Oliver left us recordings of the epitome of hot jazz-improvised polyphony by talented ensemble players. He also left us a lot of plunger and mute techniques on the trumpet which were later developed and refined by players like Bubber Miley. 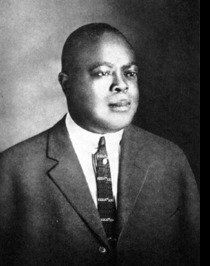 More importantly, he brought Louis Armstrong into the mainstream of jazz and that helped change all jazz for all time.